Plans for a new £22m secondary school in Powys have been given the go-ahead by the Brecon Beacons National Park authority. The plans will see the existing Brecon High School replaced with new buildings "fit to meet the demands of education in the 21st Century". Work on the new buildings will get under way early next year. The new school is expected to be open in time for the start of the September 2019 academic year. Councillor Myfanwy Alexander, cabinet member for schools, said: "All of us who have been fortunate enough to see the plans for the new building will appreciate that as well as providing excellent facilities for teaching and learning, it will be an enhancement to the built environment of the area." BAM Construction was awarded the contract by Powys council in May. The business case for the project was approved last autumn as part of the Welsh government's 21st Century Schools programme. 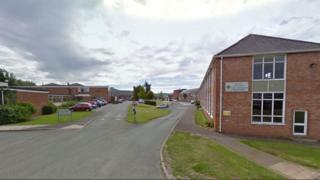 Powys council U-turned on a previous cabinet decision to shut the Welsh medium stream at Brecon High School in July.